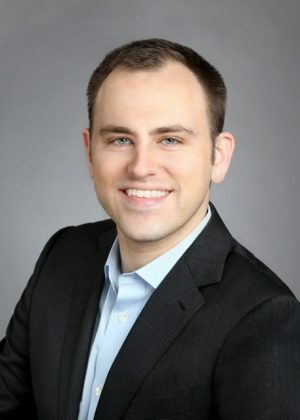 As part of the strategic plans by parent company Collectors Universe, Inc. (NASDAQ: CLCT) to improve and expand services and products for collectors and dealers worldwide, professional numismatist Brett Charville has been named President of Professional Coin Grading Service (www.PCGS.com), effective January 1, 2019. Charville has been a dealer in collectible coins for over 15 years. An expert in grading and evaluating U.S. vintage coins, he got his break in the world of professional numismatics like many others have, as an intern at Heritage Auction Galleries in Dallas, Texas. "Brett Charville is a respected and hard-working individual who has clearly established himself in the coin industry. The PCGS staff has always been composed of dedicated people with immense numismatic expertise and Collectors Universe is delighted to add Brett to this impressive team," said Collectors Universe Chief Executive Officer Joe Orlando. After graduating from Miami University, Charville was employed by Heritage as a wholesale buyer and grader. He then spent two years at Carter Numismatics in Tulsa, Oklahoma, also as a buyer and grader. In 2012, Charville founded Standard Numismatics, a wholesale-focused trading company based in Chicago. "I am both very excited and humbled about this opportunity to be part of PCGS, the most storied brand in numismatics worldwide. This is a once-in-a-lifetime opportunity and I’m looking forward to leading PCGS in their next chapter forward," stated Charville who will be meeting with collectors and dealers at various times at the PCGS booth (#1203) during the upcoming Florida United Numismatists convention. "We have a responsibility to many different stakeholders: to deliver a consistent and marketable product to our submitters as well as provide liquidity, security and act as a bulkhead against counterfeiting. We have an obligation to our shareholders to grow our brands and business in sustainable, consistent, and innovative ways. Joe Orlando and I are deeply committed to driving PCGS forward in a manner that ‘checks all the boxes’ and ensures that PCGS is the market leader in numismatic authentication and grading for generations to come," he emphasized. "In addition to having the requisite skill set and attributes for the position of PCGS President, it is clear that Brett will also approach the challenge with the right attitude. We are all excited about the future of our company and its leadership," said Orlando. "PCGS is a premium brand with a great foundation, and we have an opportunity to further improve our services. One way we can accomplish this is by empowering more people, both existing employees and new staff members, so they have the authority to make independent decisions. PCGS is a service business. We can be more responsive to our loyal customer base and more efficient in our operation. This is just one step, with more to follow, which shows our commitment to investing in the future of PCGS," explained Orlando. Professional Coin Grading Service was established in 1986 and now authenticates, grades and certifies coins from over 100 countries. In addition to its international headquarters in Santa Ana, California, PCGS has submission centers in Europe (www.PCGSEurope.com), Hong Kong and mainland China (www.PCGSAsia.com). As of this posting, shares of CLCT are down ($0.24), or $12.55 a share. Hard to fathom that its 52-week high of $30.82 was back in late-Feb/early-Mar. Hopefully this announcement will give pause to falling share prices.